Republicans have been shouting about illegal immigration for years, and they believe that building a wall that spans the southern border is the answer. Democrats in the Senate refuse to give in to President Donald Trump’s demands for over $5 billion to fund the barrier between Mexico and America. 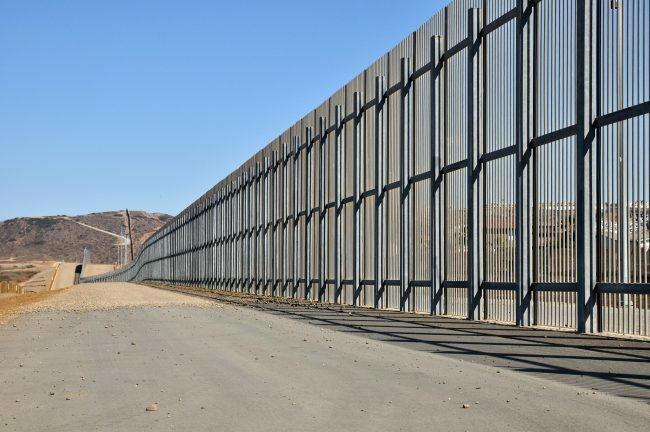 Moreover, in November 2018 poll, almost three-quarters of Americans do not want the border wall. They do not agree that a structure will stop people from South America from crossing illegally. And they are correct. San Diego, California already has a wall along the border at Tijuana, Mexico and it does little to dissuade determined trespassers. While it is difficult to cross there are many ways a determined person will make it into the U.S. Some manage entry by using the elaborate tunnel system. Others wade into America using the filthy Tijuana River to gain entrance. Some use fake identification when driving across the border or walking over the bridge crewed by immigration officials. From 2015 to present, more than 11 million gallons of waste have gone untreated, raising concerns about long-term damage to the environment, aquatic species and threats to human health. Beaches along the city of Imperial Beach were closed more than 200 days in 2015 and approximately 150 days in 2016 and in 2017 to protect the public. In the last decade, coastal cities in California have imposed 1,600 beach closures in response to contaminated wastewater. … As noted in May 2018, the mismanagement of the treatment facilities and the threat to human health have become so dire that the U.S. Border Patrol launched its own investigation to ensure the wellbeing of its agents. The official White House website posted the president’s executive order that closes Executive Departments and Agencies of the Federal Government effective Christmas Eve, Dec. 24, 2018. He took this action in retaliation against the Senate’s inability to pass the Spending Bill. The Bill passed in the House of Representatives where the majority is Republican. Whereas the Senate cannot muster the votes needed to appease the president by giving him the border wall he claims the country must have for its safety. Trump is persistent in his demands for the border wall, and he makes absurd pronouncements about finding other funding. During his campaign, he claimed Mexico would pay. Then his Press Secretary Sarah Huckabee Sanders told reporters the president is willing to use other sources to finance the border wall. The Leader has said for years that the votes are not there in the Conference to use the nuclear option. Just this morning, several Senators put out statements confirming their opposition and confirming that there is not a majority in the conference to go down that road. Hypothetically, what if the Trump Wall was erected? How would the government keep trespassers off? If the government is serious about eliminating illegal immigration, then they must take defending it a priority. Not in a passive manner currently used against aliens now, which is for all intent and purposes a slap on the wrist. People who try to enter the country must genuinely believe America will severely punish them. Countries with border walls aggressively defend them using military personnel. The most frequently reported is the Israeli border fence. The public opinion focuses on the humanitarian perspective when Israel’s military shoots a Palestinian as they climb the fence. Israeli soldiers will shoot to kill the message being broadcast by human rights activists and left-leaning media. But that is how exactly what the military will do to trespassers. Since staffing the U.S. border wall with guns and orders to shoot is highly unlikely, funding for one should be moot. 2 Responses to "Most Americans Say No Border Wall but President Trump Persists"